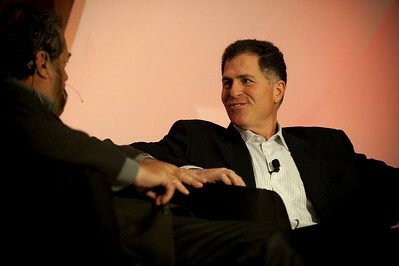 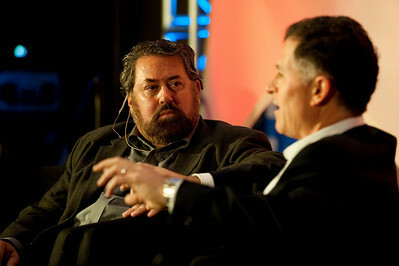 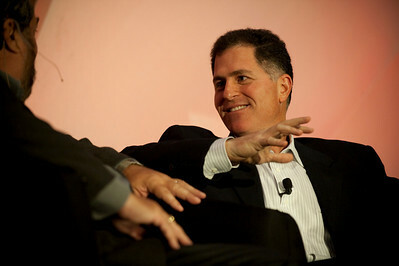 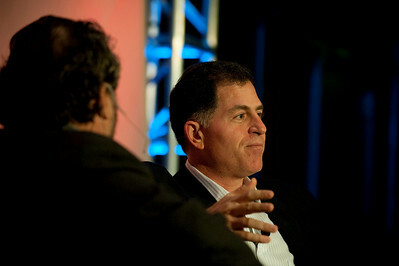 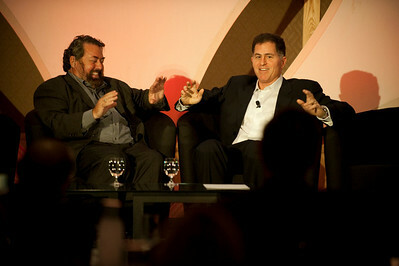 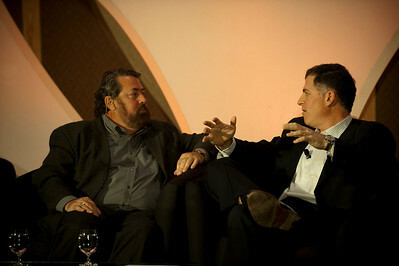 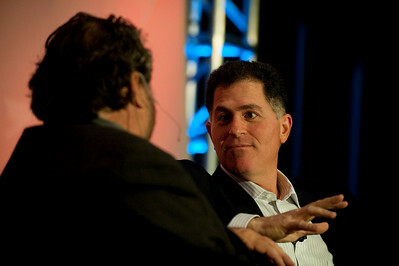 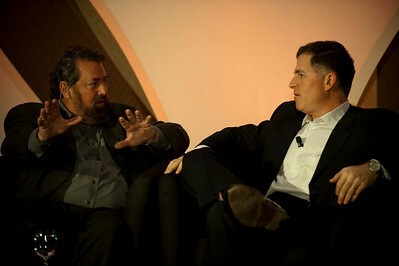 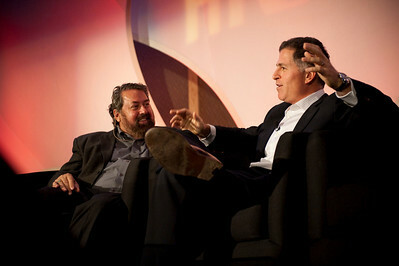 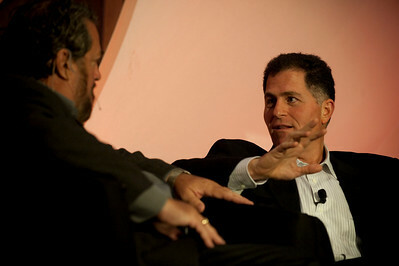 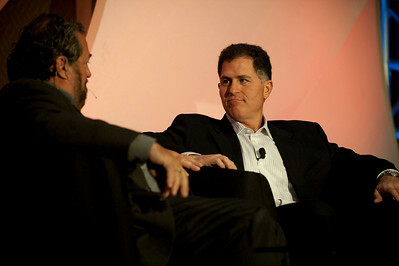 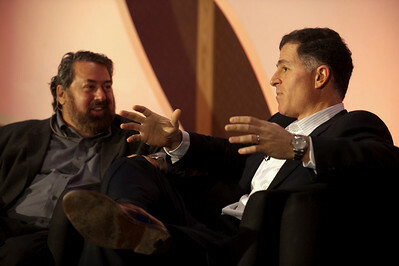 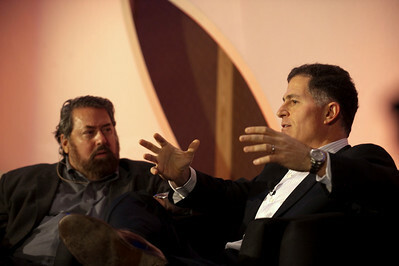 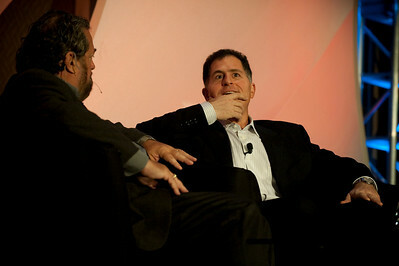 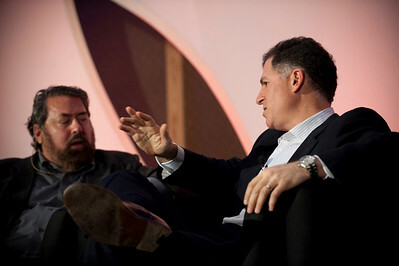 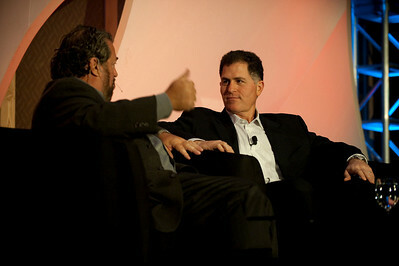 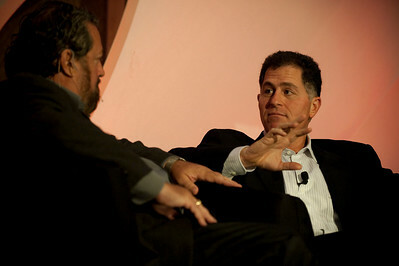 Centerpiece Conversation: Host Mark Anderson (L), SNS CEO and FiRe Chair, with guest Michael Dell, Chair and CEO, Dell Inc. 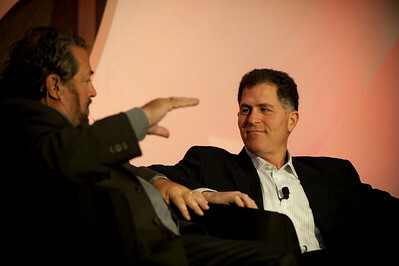 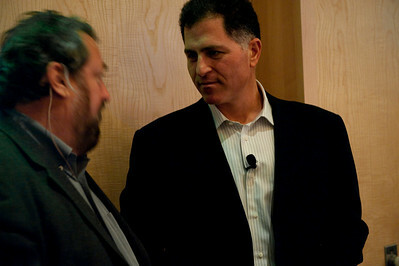 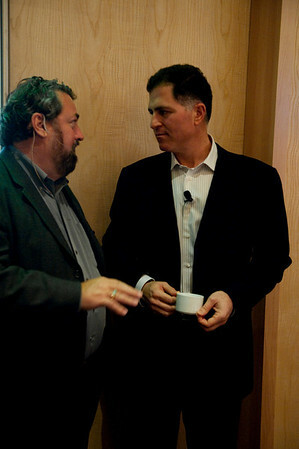 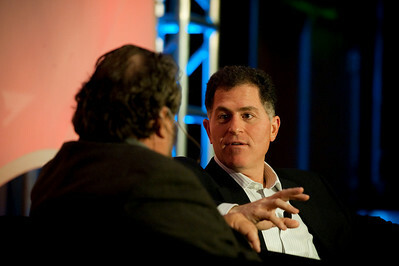 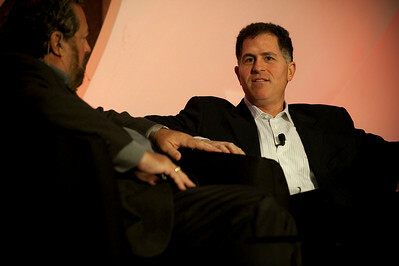 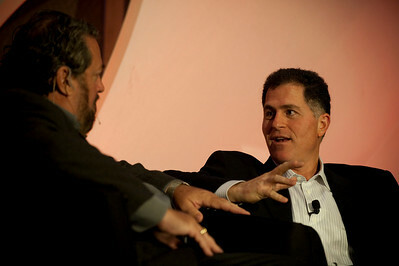 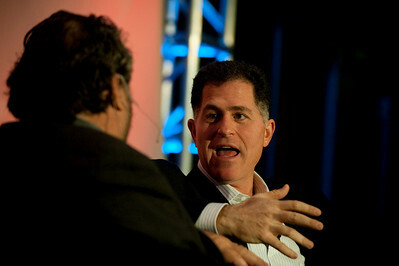 Centerpiece Conversation: Host Mark Anderson (L), SNS CEO and FiRe Chair; and Michael Dell, Chair and CEO, Dell Inc.
October 15, 2009, Seattle. 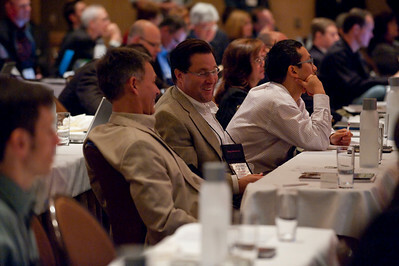 170 leaders from technology, business, science, education, policy, and media sectors met in a new 12-hour conference model created by the team at Strategic News Service, producer of the annual Future in Review (FiRe) conference since 2003. 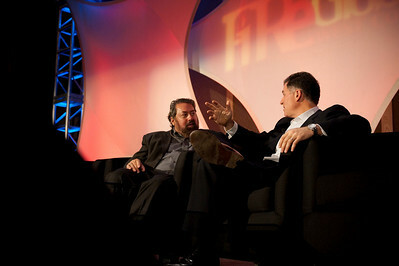 The purpose of the event, called FiReGlobal : West Coast, is to bring global and local "thought leaders" together to solve problems of broad and shared impact. 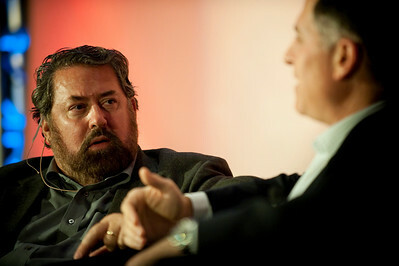 Topics included high-tech industry forecasting, alternative energy, broadband and communications technologies, environmental issues (focused on ocean ecology), healthcare, education, public policy, and the future of local and global economies. 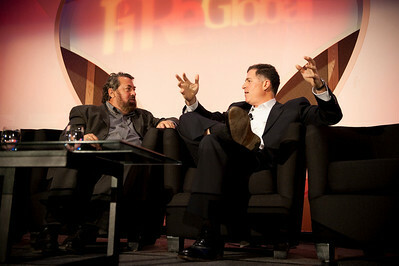 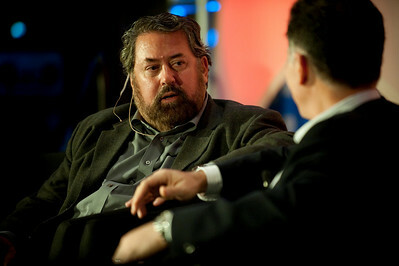 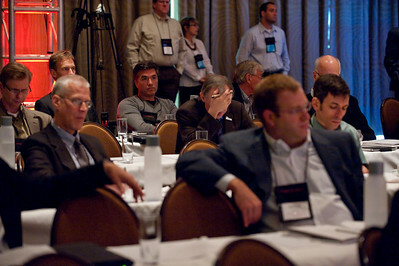 This was the first of a planned international FiReGlobal series focusing on regional issues with global implications.